ICC Chief Executive Dave Richardson said the global body has "unanimously agreed" that 2021 meeting in India would now be a 16-team event in the shortest format. India will host a World T20 event that the International Cricket Council (ICC) has decided to replace with Champions Trophy as the world cricket body on Thursday finally scrapped the eight-team ODI tournament, the context and relevance of which has been questioned repeatedly. At the end of its five-day board meeting, ICC Chief Executive Dave Richardson said the global body has "unanimously agreed" that 2021 meeting in India would now be a 16-team event in the shortest format. Richardson's announcement meant that BCCI representative Amitabh Chaudhary also voted in favour of the change after the initial opposition to the move. This means that there would be an unprecedented two ICC World T20 events in two years --- the 2020 edition in Australia and the 2021 edition in India. "The 2021 Champions Trophy in India will now change to World T20. It fits into our strategy of growing the game," Richardson said today at a media conference at the end of the meeting. "Well the BCCI representative attended the board meeting and the vote was passed unanimously. So I don't think that's an issue," said Richardson. However, Richardson's rationale behind the changes were contradictory in nature. When asked that ICC often claims about safeguarding longer formats but then is increasing cash-rich T20, he reasoned; "I don't agree with that it's contradictory. In the end we are going to end up with maximum of 12 Test teams." "The Champions Trophy in a way was too similar to the World Cup, always quite difficult to differentiate. Why you are having a World Cup and then a Champions Trophy? It was difficult. "And don't forget a 13-team ODI league is a huge step in making sure the 50 over format has much more context going forward," the former Proteas keeper said. When asked if the 50-over World Cup and Champions Trophy looked similar, then how different would be the World T20 in 2020 and 2021, Richardson called the situation a "little bit unfortunate". "Unfortunately that's just because of the schedule how it works. There would not have been an option I suppose of moving the T20 into 2022. "But going forward in the future, every two years World T20, every four years the World Cup and don't forget the ODI League building up to each World Cup," he concluded. Cricket may finally return to the Olympics in Los Angeles 2028 after the ICC has expressed its strong desire to pitch for the sport's inclusion in the quadrennial Summer Games. Richardson said is all goes well cricket will be a part of the Los Angeles Olympics. Cricket has not been played at the Summer Games since it featured only once in Paris 1900. In a bold decision to globalise cricket, the ICC on the final day of its five-day long meetings decided to give international status to all T20 matches played by its 104 members. "I think this decision can only help us in our move or application to the International Olympic Committee (IOC) for the right to participate in the Olympics going forward," Richardson told reporters here. The deadline for submitting bids to the IOC for the inclusion of new sports at the 2024 Games is over and Richardson said they are hopeful of cricket's inclusion at Los Angeles 2028. "It's going to take a bit of time. The 2024 Olympics will be in Paris and 2028 in Los Angeles. We have already missed the deadline to apply to IOC through the front door to get the right to participate (in 2024 Olympics)," he said. "We can't go to Paris. But we have continued our talks with IOC and with LA in due course, hopefully by 2028 we will have cricket in the Olympics," an optimistic Richardson said. Incidentally, the Indian Cricket Board (BCCI) is reluctant on cricket's inclusion in the quadrennial showpiece event for the apparent reason that it will have to go under the aegis of the Indian Olympic Association (IOA), which mean loss of its autonomy. Moreover, with India having a busy season that includes IPL, the Olympics may also eat into the Future Tours Programme (FTP). "We still have to resolve an issue between the BCCI and the IOA. Assuming that we can get all of the cricket world united in a desire to be part of the Olympics, then I think we will have a very good chance of pursuing the IOC that cricket is sport that can add value to the Olympics going forward," Richardson said. In the wake of the ball-tampering scandal involving the Australian team, the International Cricket Council promised stricter and heavier punishments, which, the apex body hoped, will act as proper deterrent. Richardson said fines are not proving to be the answer and the cricket committee, headed by Anil Kumble, will review the current penalties and come forward with recommendations for it to be ratified at the ICC annual conference in Dublin from June 27-July 3. Steve Smith and David Warner, the deposed captain and vice-captain of Australia, have been banned for one year each by Cricket Australia, while Cameron Bancroft has been hit with a nine-month suspension for his part in the ball-tampering scandal that marred the team's recent tour of South Africa. "There were clear direction received that we want to move towards stricter and heavier sanctions for ball-tampering and all other offences that are indicative of lack of respect for your opponent, for the game, the umpires, fans, media etc," Richardson said after the conclusion of the five-day ICC meeting here. 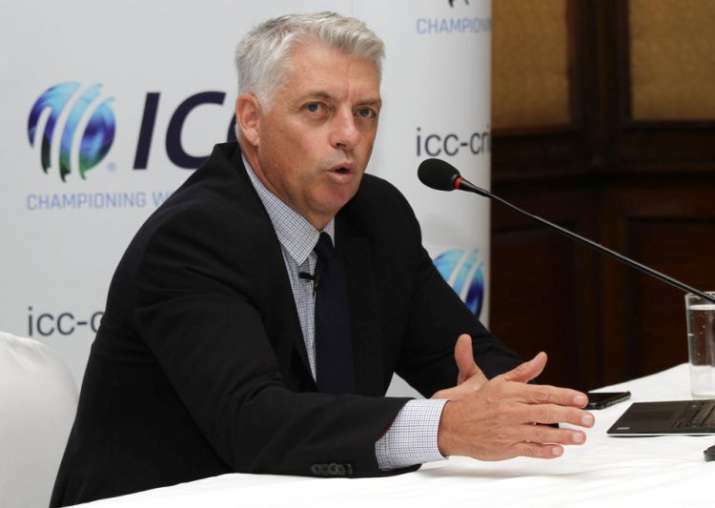 Richardson said they had good discussions in both the forums of ICC chief executive committee and board meetings which also agreed to include offences like sledging, send-offs, and showing dissent within umpire's control. "We want penalties in place which act as a proper deterrent. Fines are not proving to be the answer. We will ask the cricket committee to do is to review." The ICC's cricket committee is chaired by Kumble with the assistance of Allan Border, Shaun Pollock and Courtney Walsh as it will be bolstered by the addition of Richie Richardson. "They will help us make some recommendations that would prove a much more effective deterrent against poor players' behaviour." The ball-tampering episode last month generated huge public outcry which Richardson described as an "eye-opener". "We also want to encourage behaviour that epitomises the spirit of cricket. The biggest eye-opener for people in cricket was the reaction to the recent incidents in the series between South Africa and Australia." Upholding the MCC's Spirit of Cricket will be the main aim, he said. "There had been too many instances of sledging, ugly abusive languages being used, dissent etc. What we need to try and do is we have got the Spirit of Cricket in the Lord's but what does that mean? "We need to define what it means in this modern day and age and both the CEC and the Board were very supportive in trying to develop a culture of respect across the game both on and off the field." Describing India-Pakistan cricket issue as complicated and political, the former South African wicketkeeper batsman said: "Certainly it's a common desire that it would be great to play more regularly and bilaterally as opposed to ICC events. "It's an issue that's beyond an area of influence quite frankly. Even the BCCI can't also simply decide, likewise with Pakistan. It's more complicated. Unfortunately, we will not let upon on our efforts. It's going to take a lot more than just two boards to just agree." Richardson said they're pragmatic in their approach to India-Pakistan as the latter has claimed USD 70 million compensation for violating a contract to play six bilateral series between 2015 and 2023. 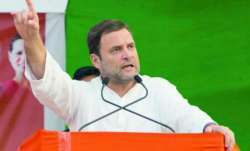 "We have been a little bit pragmatic in the case of India and Pakistan. In the first alliteration of the league they are not playing each other in Test matches." As for women's cricket, Richardson said there would be less Test cricket as the focus would be on T20. "In all likelihood there will be very few Tests played. I know England, Australia want to keep Test cricket going but not other countries have the same desire. "There are still options of members to play Tests if they want. They will be on a bilateral basis. "Our research shows, T20 cricket is probably most favourable format certainly in women's game. The focus will be on using T20 cricket to get more competitive teams," he concluded. The ICC has decided to grant T20 International status to all its existing 104 members in a bid to popularize the game across the globe. The move will effectively mean that a T20 match between Argentina and Papua New Guinea will have international status from now on. All member women's teams will be awarded T20I status on July 1, 2018 whilst all member men's teams will be awarded T20I status on January 1, 2019 following the cut-off point for qualification to the ICC World T20 2020. Players' Concussion (Post Phill Hughes' death and other on-field accidents): New concussion guidelines, which had been developed by the ICC Medical Advisory Committee were adopted by the Board. The protocols are simplified, more cricket specific and in line with the consensus statement on concussion in sport.